How The 'Teflon Don' Rubbed Out The '7 Dirty Words' : Blog Of The Nation The backstory on the F.C.C. profanity case: How the "Teflon Don" rubbed out the "Seven Dirty Words." Yesterday, a Federal court struck down the F.C.C. 's "fleeting expletive" ban as unconstitutionally vague, inaugurating another round in the longstanding bout over broadcast indecency. For many years, the standard was the so-called "Seven Dirty Words" -- a George Carlin routine on one of his comedy records broadcast on Pacifica Radio's WBAI-FM back in the early seventies by talk show host Paul Gorman. And it seemed simple. As long as you could remember the seven dirty words -- it's a little like trying to name all of the Seven Dwarfs -- and bleeped them out, all was well. 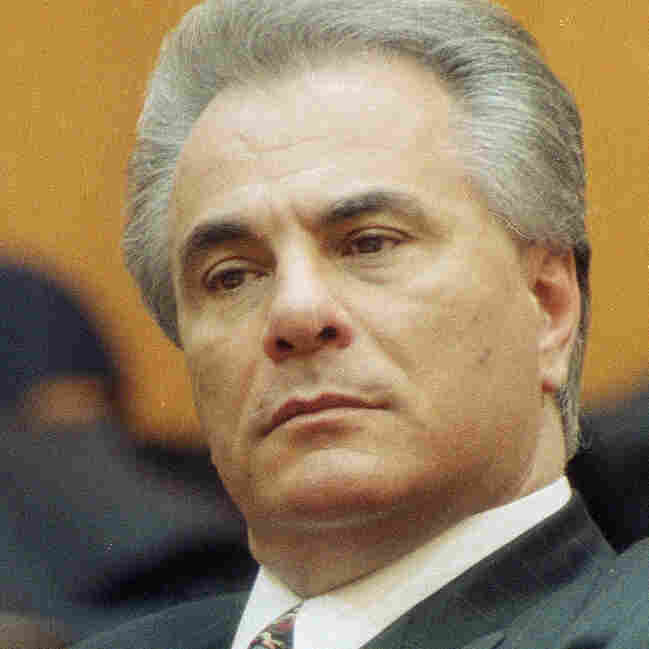 Until NPR's Mike Shuster covered the trial of John Gotti -- the New York crime boss known variously as "The Dapper Don" -- because he favored stylish pinstripes -- and "The Teflon Don" -- because charges never stuck. A key part of the prosecution's case, was an FBI wiretap where Gotti menaced one of his associates in a tirade that included repeated and inventive variations of the F-word. Mike argued to include the profanity-laced wiretap in a story for All Things Considered and that we should leave in all the vile language. To leave it out, he said, would deny the audience critical information -- that the mobster who was so charming on the court house steps was, in fact, a thug. At the time, I was the Executive Producer of ATC, and asked why we shouldn't just bleep the F-bombs -- edit out the actual word, and insert a 1000 cycle tone of the same length. Mike pointed out that Gotti used the word so frequently that the bleeps would come so fast as to render the tape incomprehensible. We tried it. He was right. We ran the decision past then News Director Bill Buzenberg. who agreed, and, after warning listeners of strong language, broadcast the piece that night. A listener complained to the F.C.C., but, after investigation, the commission decided that since there was no intent to be salacious or describe sexual acts, the language was OK. In other words, sometimes you could broadcast the seven dirty words, and sometimes you couldn't. The Commission has been trying to devise a clear and consistent standard ever since. By the way, I edited that tape myself before it went on the air, and if you're wondering whether I cut out any words at all, I did. "Mother." Several times.